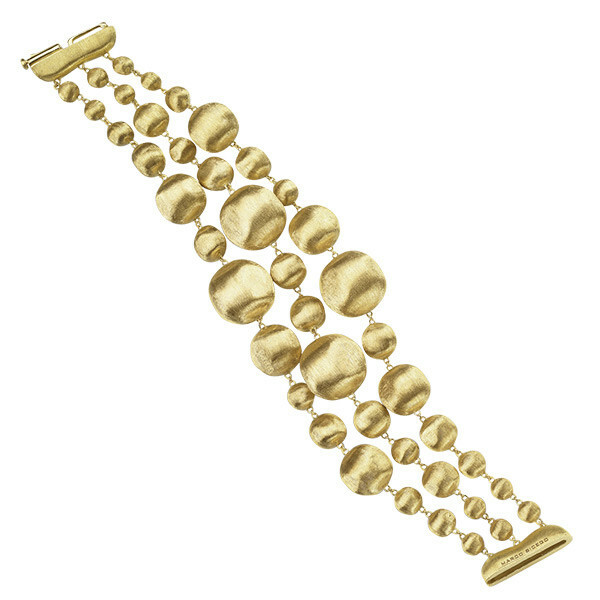 With truly unique beauty, this Marco Bicego bracelet from the Africa collection is an outstanding piece. Forged in 18kt yellow gold, three fabulous strands float multi-sized globes that are hand-carved with the Bulino technique. The brushed gold appearance of each ball shimmers beautifully to create a Marco Bicego look that is as dynamic as it is eye-catching.